Cancer Biology: Mommy gave me cancer! I found a very interesting story in a science article on a rare case of transmissible cancer. Four years ago, a young Japanese woman gave birth to a baby girl and eventually returned to the hospital about a month later due to uncontrollable vaginal bleeding. The woman was diagnosed with leukemia and unfortunately died soon after that. Her baby girl developed an abnormally large tumor on her cheek when she was eleven months old, so a biopsy was performed and the results revealed that it was a cancerous tumor; it was not a sarcoma, but a leukemic tumor. We learned in class that leukemia doesn't develop any tumors, so why did this leukemic cancer form a tumor on the baby's cheek? Mel Greaves, a cell biologist from the Institute of Cancer Research in the United Kingdom, studies transmissible cancers, and along with his colleagues, took blood samples from the baby and discovered that the cancer was most likely passed in utero. The BCR-ABL1 sequence, which is unique in leukemic cancers, was the same in both the mother and daughter's DNA. The cancer cells taken from the baby were almost all maternal cells with no paternal genetic material. Therefore, these researchers concluded that the mother had passed the cancer onto her daughter. Their evidence can be found in this online published paper. Greaves and the rest of his team believed that the immune system of the fetus should have destroyed the cancerous cells derived from the mother, but they now know why what they expected to happen did not occur. These cells were missing a large portion of chromosome 6p, which is responsible for producing markers where immune cells can attach to. 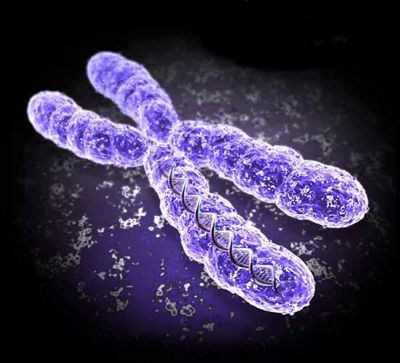 Could it be that this chromosome is also involved in making some people immunocompromised? I decided to do a little more research on chromosome 6. Researchers have found that duplications on the p arm of chromosome 6 have been linked with cancer and they believe that some of the genes in this region may be oncogenes. Mutations and/or extra copies of these oncogenes may lead to cancer. Another article I found showed a connection between this chromosome and endometrial cancer. Endometrial cancer is cancer of the lining of the uterus. Based on what I found and learned so far, I have made a few broad assumptions of what could have happened in this extraordinarily rare case. Because chromosome 6 is involved in some sort of immunodeficiency, it could be that pregnant women could be more predisposed to cancer, i.e. endometrial cancer, if they were to have a mutation here. Like many cancers, this cancer could have metastasized to other areas/tissues and could have ultimately affected the fetus as well. Therefore, I believe it is possible for a fetus to get cancer from its mother, especially if it were to be cancer of the endometrium, which is where the fetus is found. Back to the case of the Japanese woman, leukemia deals with white blood cells which are involved in defending the body against foreign harm, so if a mutation or change of chromosomal structure were to occur, I don't see why the fetus wouldn't be capable of getting some of these cells if they both share some of the same cells. 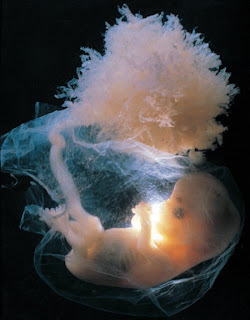 In conclusion, these type of transmissions are rare, since they are normally blocked by the placenta, but after researching this case, Greaves and his team also question whether the placenta is an effective barrier between mother and fetus. Could it be that perhaps some mothers have "better" placentas for their fetuses than others?